A beautiful yacht from the respected Heesen shipyard. The yacht offers her clients a contemporary interior which gives a luxurious and relaxed feel. MAC BREW offers accommodation for up to 12 guests in sumptuous luxury with a crew of eight onboard to ensure the most tailored and fitted quality experience. Timeless styling, beautiful furnishings and spacious seating feature throughout this Dutch vessel to create an elegant and comfortable atmosphere. Her sundeck boasts fantastic sunbathing areas alongside a Jacuzzi pool and alfresco dining options. 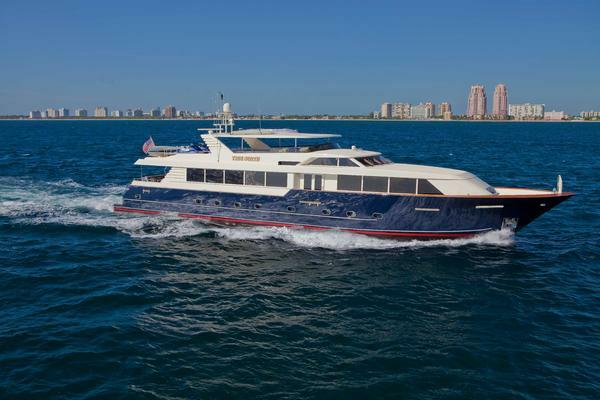 MAC BREW's impressive leisure and entertainment facilities make her the ideal charter yacht for socializing and entertaining with family and friends. 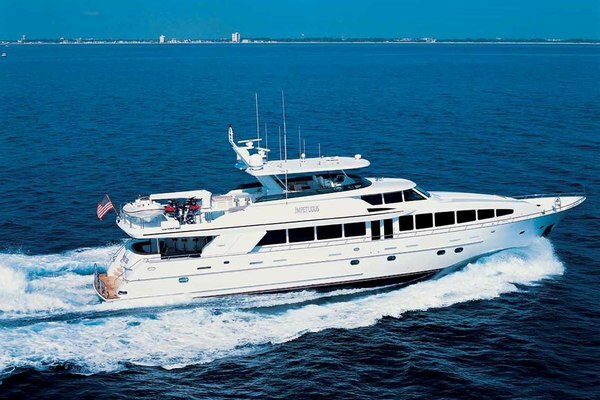 United Yacht Sales New Jersey would love to guide you through a personal showing of this 133' Heesen Pilothouse 2002. This yacht for sale is located in Olbia Italy and priced at $5,495,000. For a showing please contact us by filling out the form on this page and we will get back to you shortly! Sleeps up to 18 guests in 6 staterooms and 8 crew,Aft DeckThe aft deck has been completely enclosed but open to the main salon. Entrances via sliding doors both port and starboard, teak decking makes it a breeze for guests to come in wet from a swim. Panoramic views and air-conditioned for comfort. SaloonLocated on the main deck forward, the salon is made for entertaining with state-of-the-art entertainment system, large TV, a designated children’s playroom forward and a selection of games and movies. Master Stateroom (Bridge Deck, full beam)Located on the upper deck with shower, spa pool, generous bathroom. Office/study to starboard that opens direct to the passageway and bridge at the top of the stairs. King size bed, walk-in wardrobe, exercise equipment and settee. En-suite bath. 2 x VIP Guest Staterooms (Double, Lower deck, fwd port & stbd)Two guest staterooms that mirror each other, queen size beds, one with a sofa and the other with a desk. Each with en-suite bathroom with shower. 2 x VIP Guest Stateroom (Lower deck)One twin room with two single beds.One Triple with single bed and two bunk beds.Shared bath1 x Guest Staterooms (Lower deck, midship stbd)Sleeping 3 guests in 3 pullman beds, 2 on one side and 1 on the other side. Can be configured as a conventional twin, single or triple. En-suite bath with shower.Sun DeckThe sundeck includes a Jacuzzi, lounging areas, and sun mattress.